Shamed by Chelsea Camaron and Ryan Michele takes place in a small country town in Alabama and with a MC called Ruthless Rebels. Kenderly works at a gas station at night. During the day she tries to keep her mom awake and alive during her deep depression. Kenderly feels stuck and tries to keep everything together - except when it comes to Dixon James Cartwright - DJ. They were lovers in HS but broke up soon after. DJ belongs to the Ruthless Rebels and is a 1%er. Kenderly attracts the wrong kind of danger and DJ feels compelled to help her, which just pulls them back together - maybe. A second chance at love does not happen often, but Kenderly is scared. Shamed is a novella by Chelsea Camaron and Ryan Michele. I have not read anything by these authors, so I was pleasantly surprised by the book. It is a novella, but felt longer and more complex. I went right out and bought the second book - so this is a series I am going to keep up with! The View from Alameda Island by Robyn Carr bring us to the city of Alameda, which is an island in the midst of San Francisco Bay. The characters of Lauren and Beau both live there and the city is almost another character as it is treated by Robyn Carr. The story, a love story at the center does contain some challenges for the main characters. While Lauren is the main character, lots of Beau’s story is told and I think equally part of the story. Lauren stayed with her husband, a well known surgeon, for 24 years. She stayed for her daughters and once they were securely out of the way, she walked away and had her husband served with divorce papers. Her husband was never satisfied and felt free to belittle her and demean her regularly. Lauren is ready to start over without him. She moves to a rental in Alameda. Beau has decided that he is done with being married to a woman who just leaves when she needs a break and then returns and expects to be accepted with open arms. He married her long ago with her two young boys. Boys, he nurtured and supported and continues to support. He lives in Alameda. Lauren and Beau run into each other and begin a friendship, however the exes begin to rear their ugly, evil heads and things pick up speed. Robyn Carr continues to heighten the excitement and the book is really difficult to put down. 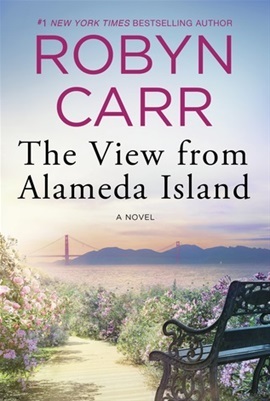 The View from Alameda Island by Robyn Carr is a great read. 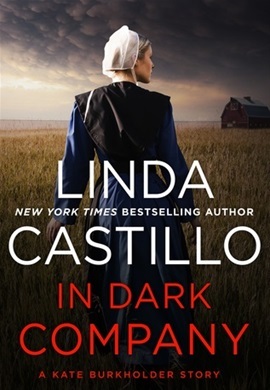 In Dark Company by Linda Castillo is a novella in the Kate Burkholder series. A young woman shows up in the middle of the night at an Amish home. She remembers nothing except someone was chasing her and she is afraid. Kate Burkholder is called in as the sheriff to deal with the situation. Kate was able with help from others recognized that the young woman was Amish, but not a local sect. Kate provided her with a safe place while they tried to help the young victim regain her memory. As always the story was suspenseful and interesting. In Dark Company by Linda Castillo was a good read. 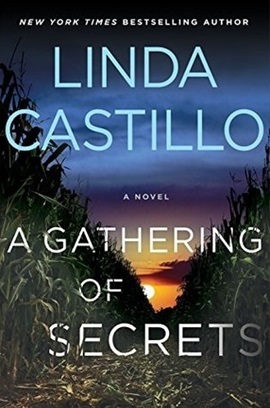 A Gathering of Secrets by Linda Castillo is the newest and tenth book in the Kate Burkholder Series. Kate Burkholder is the chief of police in Painters Mill, Ohio a setting that includes both Amish and English (non Amish). Kate grew up within the Amish community, but left for a different life. Each of the books bring you deeper into the community and deeper into the life of Kate. While this book is part of a series, I feel it can be read as a stand alone as well. The book starts out starkly with a teenage suicide and while you are reeling from that another teenage death occurs, but is different in cause and distinction. Kate is called to a huge barn fire due to the missing teenager. It is from here the story twists and turns. Not all is as it seems. The missing teenager - what and who was he really? Kate finds a shocking parallel of happenings to what she, as a young teenager in her Amish community, had to deal with and face. The case twirls as Kate is unable to stop searching for the truth, even at her own peril. I liked the book a great deal. I liked how Kate had to work through the parallels. I liked how Thomasetti and Kate’s relationship grew and changed. I felt that there was a lot of insights into God’s Will within the Amish and helped with understanding the connections from the past and the present. I liked how Kate continued to maintain her professional dealing with the Amish and the English, making her a more conflicted and dynamic character. A Gathering of Secrets by Linda Castillo was a great read. Ice: Knights of Silence MC #1 by Amy Cecil is the first of a new MC series. Amy Cecil is a new novelist for me as well. Knights of Silence MC is located in a small town in New York. They are one percenters who have no problem defending their family and territory from other MCs. Ice is the president of the Knights of Silence. His early history and how he found the Knights of Silence is explained in the beginning of the story. This beginning allows the reader to be invested into the story and the characters of Caden and Emma. Caden, Ice becomes a member of the Knights of Silence and eventually becomes President. Emma moves on to college and starts her own small company with their social presence. She has a best friend, her family and a fiance. Until one day her best friend disappears and she turns to Ice for help. All those old feelings come back and suddenly it is love, but more information comes out and suddenly Caden realizes that he is in a war with someone. I didn’t realize the book would end in a cliffhanger (not my favorite thing), but the second book has been published so it is easier to read both stories together. I enjoyed the story and the characters. I am going to read more of this series. Ice: Knights of Silence MC #1 by Amy Cecil was a hot, biker read. Ice is the second book in the Knights of Silence MC series. The book follows the first book Ice and concludes the story of how Cayden became Ice.This is a new series to me and while I found it quite interesting I am not sure I like how the books end on a cliffhanger even if it's a small cliffhanger. Caden grew up in a house where he knew he was constantly arguing with his father about everything. He and his father had exactly opposite thought about about living day to day. When his father died to suddenly Caden was left with nothing, except to take care of his younger sister Ari. He had forced Emily away and was trying to start his life again. years later Emily came to him asking for help she knew he was the leader of the Knights of silence and see and hoped with his group of men he could help her find her roommate Brianne. By the end of the first book we knew that things were really bad, this book starts with the second part of the story. I don't want to give away what happened after the Cliffhanger so I am not going to share any more information about the book. 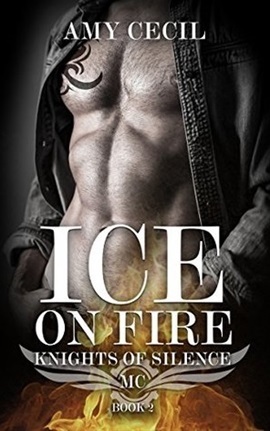 Ice on Fire is the second half of the first book in the Knights of Silence MC. While I enjoyed the story line and I enjoyed the characters, I did not enjoy that the book, once again, seem to end in a cliffhanger. I like my stories to have a happy ending. I found the story line interesting I found the setting interesting and all those hot motorcycle club members fun. Ice on Fire was an interesting read. 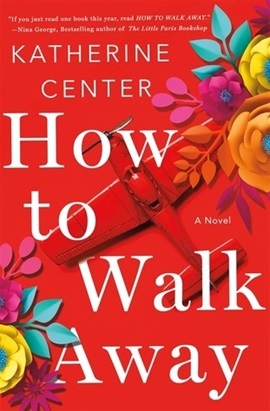 How to Walk Away by Katherine Center was a pleasant surprise of a read! I am not sure what I was expecting, other than an interesting read by a newer author to me. What I found was a book full of promise and challenge. The main character was Margaret Jacobsen. She has been the hard worker; the child who always succeeded. She went to college, business school and just was within a whisper of the job she wanted and an engagement to a man she loved. That’s when it happened and her life changed totally. It is then she as she struggles to understand what happened and what the new normal is, that she truly finds what makes her happy. There are some characters that everyone will love to hate! One you would like to just strangle. Some you will love, but mostly it is all about Maggie. She is stronger than she thinks and has plenty of gumption! How to Walk Away by Katherine Center was a great read! Diane Chamberlain’s books always keep my attention, mostly because I do not know where they are going next. Her books always seem to connect with me. During WWII, Tess and her friend Gina go off to Washington for a weekend trip. Tess had too much to drink and in the blink of an eye, she is pregnant with a stranger’s baby and moving to Hickory, North Carolina married a reticent man with secrets. Tess hoped for the best, but the town and rules are far and away different from what she is used to, her in-laws treat her so poorly, and she is really still in love with Vincent. Tess is determined to get her RN license and work, something that is being discouraged, but what is really happening? 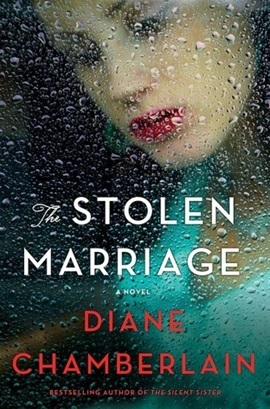 The Stolen Marriage is a story that pulls at the heart. You know that there are secrets among good people and those secrets seem to be such a mystery. Diane Chamberlain has written seemly a story with intricate characters, and still a more intricate story line. The book has much to recommend it to a variety of people. The Stolen Marriage is a great read. The Summer Nanny by Holly Chamberlin is another novel in the Yorktide, Maine Novels. While the books are not identified as a series, they are labeled as books from Yorktide, Maine. I have always thought they were about York, Maine and not just because of the name of the town. This novel focuses on Amy and Hayley. Two friends since forever, they both embark on summer jobs as nannies for summer people. Hayley knows life is hard and has struggled her entire life to make her way. Her lack of support from her family has caused her to leave college and help support her parents. She scores a great job with Jon and Marisa Whitby and their 2 year old twins. She loves the girls, but is desperate to find a way out of her life and then she meets Ethan, the son by a previous marriage. Is this her way out? Amy Latimer is the daughter of Leda Latimer. Leda is a weaver who has recently been growing in reputation, while struggling with her choices to grow. Amy lands a job with Cressida Prior. Amy is immediately smitten with her dynamic employer, but she seems to spend all her time waiting on Cressida and not on her children. Despite the growing signs, Amy continues to find Cressida a role model, which seems to grow a wedge between Amy and her mother, Leda and her best friend Hayley. I very much enjoyed the novel, especially with how the story unfolded, as the summer progressed. I enjoyed the setting (one of my favorite places on earth) and how the characters interacted with each other. I like how the growth of the characters was self reflective and allowed them to be supportive of each other. One note of caution, the beginning of the book reads like a very similar book by the same author (Last Summer), but once you meet the characters and read beyond the first few chapters, you realize that it is the tone that is similar, not the story (although there are some parallels). 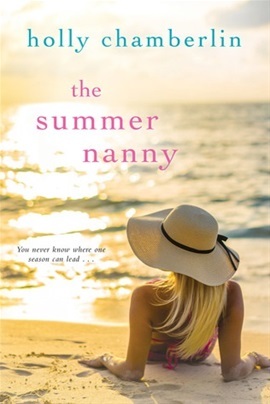 Summer Nanny by Holly Chamberlin is a good read, especially for the summer! One of my students picked Ready Player One to read from a small group of books he was offered. I was less than enthusiastic and the young person told me that they thought it was going to take him a really long time to read the book. Both of us began the book with huge trepidations. Boy, were we WRONG! 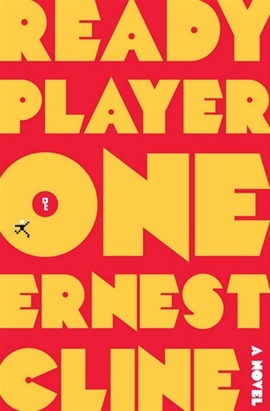 Ready Player One by Ernest Cline was a FABULOUS read! I loved the storyline, the characters and all the twists, turns and riddles. The book not only kept my interest but dragged me into a world I do not know a lot about, but was mesmerized by it. Better yet, my student found that he too was into the book and was actually reading more than was assigned and loving it. Trust me - if you knew the student - you too would be thrilled. Ernest Cline takes us into a world of video gaming and alternate realities in the future (I think I am supposed to call it a MMO). The characters all have ‘gaming names’ and avatars which are all in a quest looking for an Easter Egg left by one of their gaming heroes. The prize is lots of money The main character Wade doesn’t have a lot. In fact he is pretty much on his own, but he has the drive to figure out parts of the clues and games. I am recommending this book to a number of my students. I know that they will love it!!! The House at Saltwater Point by Colleen Coble is a romantic thriller with a whodunit edge. The book also reminds us how much we think we know about our family is not always as much as we think. There are always secrets, some you know, some you do not. Ellie Blackmore and Grayson Bradshaw are the main characters in this second book of the series Lavender Tides. The book focuses on their families and how their life brings them closer and closer as they investigate. Ellie’s sister is missing and there are all sorts of rumors about what she did and how she is a criminal. Grayson is expected to investigate what happened to the missing coke and how Ellie’s sister stole it. Meanwhile, Ellie is desperate to learn the truth about her sister and Grayson finds out - well his family is not what he thought! The book twists and turns with the intrigue and surprises. It is not necessary to read the first novel first, although I have read the previous novel. Colleen Coble is known as a Christian novelist, however I did not find the books preachy or too religious, but a solid romantic thriller with a religious edge that shows up more at the end. 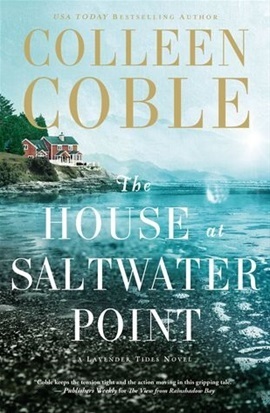 The House at Saltwater Point by Colleen Coble was a good read. 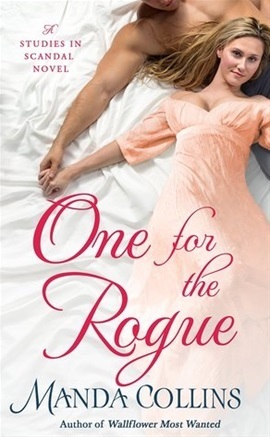 One for the Rogue by Manda Collins is the fourth book in a series called Studies in Scandal. The series follows the lives of four young ladies in England as they are given their chance for academic freedom, but of course they all fall in love with marvelous open-minded rich husband. This book focuses on Gemma and Cameron. Gemma is a series geologist. She knows that as a woman her work is not taken seriously, but she is determined. Lord Cameron Lilse is also a serious fossil hunter. He gets swept in Gemma’s orbit and is determined to help his “sister-in-law”. Too bad neither treat the other as in-laws. We have stolen artifacts, murder, rushing around the countryside, and shady fellows all wrapped in with Gemma and Cameron. It is no wonder, they are constantly breaking the “rules of the ton” and will have to marry. One for the Rogue was a fun historical romance to read. 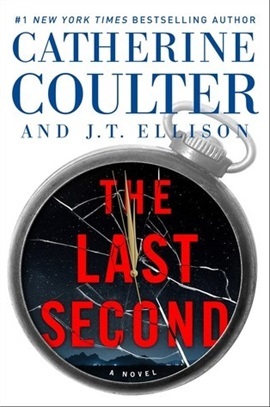 The Last Second (A Brit in the FBI #6) by Catherine Coulter and JT Ellison was a fun read. Once again Special Agents Nicholas Drummond and Michaela Caine are on the case to figure out a multinational murder mystery and theft. The murder was attempted and that the theft was that of plutonium was what made the story a thriller. Added to the mystery was where the missing plutonium was. This is fun series of books. They always have a great thriller/mystery. The story is made to move along quickly - pulling the reader into the story with all the twists and turns. The characters are a part of the fun. Special Agents Nicholas Drummond and Michaela Caine are a great match with their mix of skills and ability to track down anything. I like how they mix the technology with the dogged determination of planning. The Last Second by Catherine Coulter and JT Ellison did keep me on the edge until the last second. It was a fun read! The newest thriller in the Brit in the FBI series is out next week. 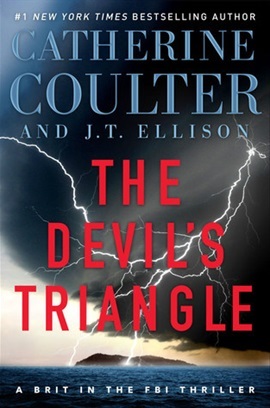 Catherine Coulter and JT Ellison’s book The Devil’s Triangle is a rollercoaster of a ride. Nicholas Drummond and Michaela Caine are back. Their new agency Covert Eyes is getting ready to take on their new roles. The team is called by their friend, the “Fox”, her husband has disappeared and she is being hunted. Nicholas Drummond and Michaela Caine and their team are ready to roll and help their friend. Only she seems to be embroiled in something even bigger including a giant sandstorm in the Gobi Desert. The team flies into Venice only to be surrounded and attacked. The problem is all about how they all fit together. The Devil’s Triangle by Catherine Coulter and JT Ellison is a great read. The constantly changing situation with the constant fast moving pace and action. Once again, you are dragged along with the story as more information is discovered and Nicholas and Mike are following right behind. This is a book not to start on a Sunday night - as Monday morning will come way too soon. Chaser - big, bold, brash, and bossy - what’s not to love. Everything according to Lara. He is in the MC of the Devil’s Keepers, the enforcer no less. Lara teaches history at the local high school and needed Mr. “Chaser” Frey to come in for a parent conference. Just what he wants to do - meet a prissy teacher who thinks she knows everything.Lara hates bikers and Chaser is definitely a biker. So how do you explain what happens next? How do you explain what happens after that? Chaser and Lara are definitely in over their heads. It is hot, hot and hotter still. Devil’s Own, the third book in the The Devil’s Keepers Series by Megan Crane is a must read if you love bad bad boys who are really really hot and Harleys. 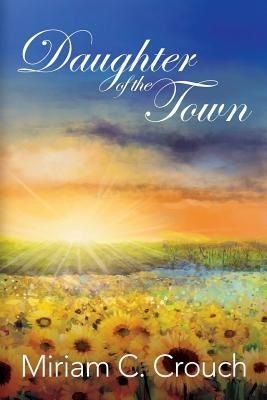 Daughter of the Town by Miriam C. Crouch was an unexpected read for me. The book was written in a reflective narrative by Claire, her best friend, Libby and about their life and growing up in a small Texas town. The book does trace their lives until they found their niche. The story starts when Claire was quite young and really describes the town and life in the 1950s. Both Claire and Libby were adopted, even though their circumstances were different, they became and stayed the best of friends. The novel was highly reflective and both Claire and Libby were able to look inward at how they saw the world, their future and their place in both. I found their revelations humorous, poignant, revealing and thoughtful. This is a novel that is more about the personal growth and discovery of who they were and who they were going to be. The novel was not my favorite genre with more action. It is however a book I could see others reading with the meaningful and purposeful messages within the book. It is a deep and thoughtful read that could allow for good discussions in book clubs and for self reflection. 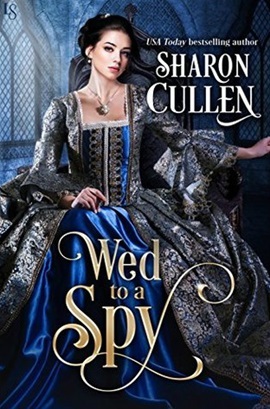 Wed to a Spy by Sharon Cullen was an interesting historical romance with lots of steam. The novel puts us in the time of Mary, Queen of Scots; Elizabeth, Queen of England; and Catherine de’Medici, regent Queen of France. Three strong women who were powerful and always trying to prevent the others from getting a hand up over the other. Into this world of came Aimee de Verris, a young innocent woman forced to spy on Mary by Catherine. However, Aimee is no spy and never figured out what, if anything, she should find out. Then comes Simon Marcheford, a long time spy for Elizabeth who ended up at Mary’s court. Mary forces them to wed. What a twist for Aimee’s life and Simon’s mission. How will she get away back to France and an Englishman? How will he explain to Elizabeth that he was forced to be married? I found the book to be interesting and I wanted to know how they worked out their problems. The book did make me feel the time period and the problems of the people involved. Wed to a Spy by Sharon Cullen was a hot interestingly good read. Thank you for the lovely review! Like the Blues, I hope your team (and mine) is still playing in October!